Crack-resistant, flexible, paints in an assortment of colours - ideal for painting cuffs, bags, shoes, etc.. Apply with a brush, airbrush, or sponge. Always allow time to dry between coats. 1 ounce bottle. Water-based. 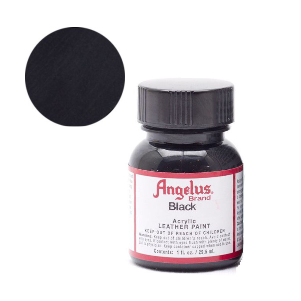 Use Angelus Acrylic Finisher for extra scuff resistance.